ANNOUNCEMENT, DEC 2, 2018: the deadline for the photography category has been extended to December 8th, 2018. The poetry and creative non-fiction categories are now closed. Briarpatch is now accepting submissions of original, unpublished writing and photography for our eighth annual Writing in the Margins contest. This year the categories are creative non-fiction, poetry, and – for the first time – documentary photography. Have your work seen by judges Alicia Elliott (creative non-fiction), Gwen Benaway (poetry), and Jalani Morgan (photography). 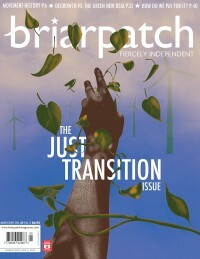 Briarpatch is seeking fresh writing and photography that brings to life issues of political, social, and environmental justice. We want writing and photos from the edges – from new creators who have something important to say, or from longtime creators who can show us a new way of seeing things. Winning entries in each category will receive cash prizes of $500 and will be published in Briarpatch, an award-winning, nationally distributed magazine of culture and politics. Runners-up in each category will receive cash prizes of $150 and will be published online. The deadline for submissions is December 1, 2018. Entrance costs $25 and includes a one-year subscription to Briarpatch (entrance details are below, and we have a limited number of bursaries for low-income writers and photographers). 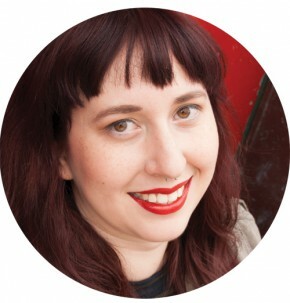 This year’s creative non-fiction entries will be judged by Alicia Elliott. Alicia Elliott is a Tuscarora writer from Six Nations of the Grand River living in Brantford, Ontario. Her writing has been published by the Malahat Review, Grain, the New Quarterly, CBC, the Globe and Mail and Hazlitt, among others. She won a National Magazine Award in 2017, and was chosen by Tanya Talaga to receive the RBC Taylor Emerging Writer Prize in 2018. Her short story “Unearth” has been selected by Roxane Gay to appear in Best American Short Stories 2018. A Mind Spread Out On The Ground, her debut book of essays, is forthcoming from Doubleday Canada in March 2019. This year’s poetry entries will be judged by Gwen Benaway. Gwen Benaway is a trans girl of Anishinaabe and Métis descent. She has published two collections of poetry, Ceremonies for the Dead and Passage, and her third collection, Holy Wild, was published by Book*hug in September 2018. Her writing has been published in many national publications, including CBC Arts, Maclean’s, and the Globe and Mail. 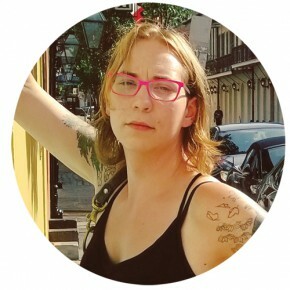 She is currently editing an anthology of fantasy short stories by trans girl writers, and working on a book of creative non-fiction, trans girl in love. She lives in Toronto, Ontario and is a Ph.D student at the Women and Gender Studies Institute at the University of Toronto in September. Our first ever photography category entries will be judged by Jalani Morgan. 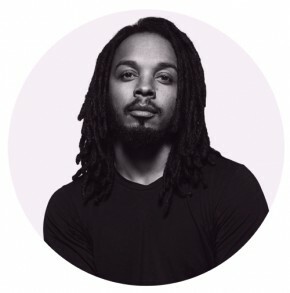 Jalani Morgan is an established Toronto based photographer, visual historian, and photo editor who is known for his editorial, documentary, and gallery collected work. Jalani’s creative work explores visual representation within a Black Canadian context and focuses on documenting and portraying images of Black life both in Canada and internationally. As a commissioned photographer, Jalani covers the spectrum of portraiture and current events documenting the cultural landscapes of Toronto. We will select one winner from each category. 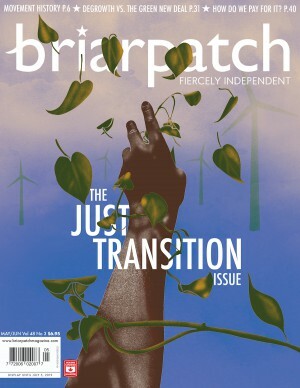 Each winner will receive $500, and their submissions will be published in the May/June 2019 issue of Briarpatch, following a collaborative editing process. Honourable mentions will receive $150, and their submissions will be featured online alongside contest winners at briarpatchmagazine.com. Best local entry (entrant based in Regina and surrounding area) will receive a special prize package of books from Doubleday Canada, and more (to be announced soon!). Creative non-fiction submissions should not exceed 2,000 words. Please attach your submission as a Word or PDF document. Your submission should include the title of your work, but in order to ensure fairness and anonymity in judging, please do not indicate your name on the submission itself. Poetry entries are limited to one poem that should not exceed two pages in length. Please attach your submission as a Word or PDF document. Your submission should include the title of your work, but in order to ensure fairness and anonymity in judging, please do not indicate your name on the submission itself. Please submit between 3 and 7 original, unpublished photos that document an issue of social, environmental, or political justice. The photos can all be from a single event or location, or they can be from multiple locations and events. Photographers that seek to document the struggles of marginalized communities are often guilty of voyeurism or fairweather involvement in that community. We’re interested in photos that show a deep and enduring engagement with the issue, land, event, or community that you’re documenting. The captions or the artist statement should explain the context of the photos, and your involvement in what you’re documenting. Photographs must be digital files – we will not be accepting print submissions by mail. The photograph does not need to have been taken with a digital camera; scans of negatives, transparencies, or photographic prints are acceptable. Watermarks are not acceptable. All digital files must be 20 megabytes or smaller, must be in JPEG or .jpg format, and must be at least 1,200 pixels wide (if a horizontal image) or 1,200 pixels tall (if a vertical image). The deadline for entry is December 1, 2018. Any entries received after midnight Central Standard Time on this date will not be considered. We will confirm receipt of your entry within one week. Winners will be notified in January, and will be announced on the website after January. Mailing address (for your subscription!). 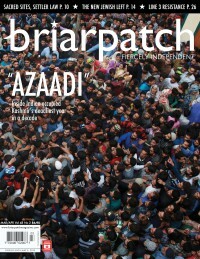 If you are already receiving Briarpatch, please indicate whether you’d like us to renew your subscription for one year, or give this subscription as a gift (in which case we’ll need the address of your gift recipient). In order to reach new subscribers, Briarpatch occasionally trades its mailing list with like-minded organizations. If you prefer not to be included in these trades, please indicate this in your e-mail. 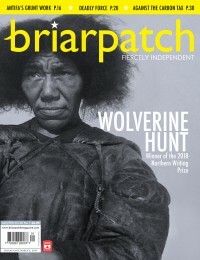 Your $25 entry fee gets you a full year’s subscription to Briarpatch (regularly $29.95). This fee helps to cover the costs of organizing, promoting, and administrating the contest, as well as the cash prizes. Please note that U.S. submissions cost $40 and other international submissions cost $45 to cover the additional costs of postage for your subscription. We will give out bursaries on a first-come, first-served basis for those who request them. People who receive a bursary to cover the cost of entry will also still receive a year-long subscription to Briarpatch. If you would like to claim a bursary, please say so in your submission email. We will reply to you by email to let you know if there is a bursary available for you. Payment can also be made by cheque or cash (mailed separately with your name clearly identified), or over the phone with your credit card at 1-866-431-5777. Please submit only one entry per person. Entries must be original, unpublished, and not submitted simultaneously to other publications or contests. Entrants must agree to be bound to the contest rules. The decisions of our keen-eyed judges are final. Winners may be requested to engage in a collaborative editing process with Briarpatch editors prior to publication. This contest is made possible thanks to our sponsors and a grant from the Regina Public Interest Research Group (RPIRG).